Its that time of the year again. 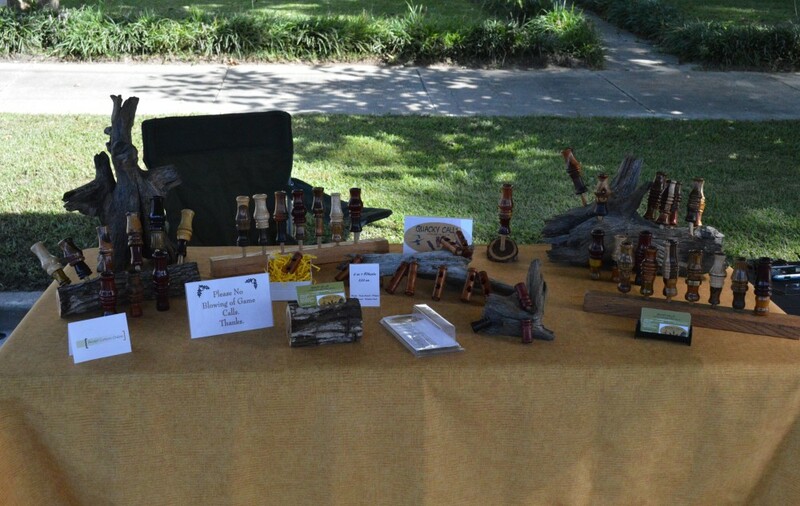 Time to pack up the display tables, the call bags and prepare for some festivals throughout NC. I look forward to this time of year because the fall air is moving in, the temps are dropping and thoughts of spending some time outdoors begin to surface. Duck hunters are beginning to wake up and excitement fills the air. Its always a pleasure to meet new people and to share stories. Whether I’m at a festival in Wilmington, Greenville, New Bern, in the triad over in the Raleigh-Durham area for those of you that may not be from North Carolina or in Hyde county near Lake Mattusmuskeet, one thing is certain…duck hunters begin to wake up this time of year. The temperatures are starting to slowly change here in North Carolina and ducks and duck hunting are on the brain. Doesn’t matter if you’re talking to someone in the Mississippi, Central, Pacific or Atlantic flyway, when the migration begins…smiles are being made. Its just a relaxing time of year. I meet many hunters from all walks of life and there is a common thread woven between us all. That passion for whistling wings, calling ducks, and the many pleasantries that surround duck hunting. For me its the sunrise, coffee, laughing with friends and being able to see a few birds. If I’m awarded a place amongst some of these great people, by being honored for an element of myself to hang upon their lanyard, then all the merrier. Looking forward to relaxing and unwinding this year at the NC festivals, wildlife festivals and the like. Maybe, I’ll see you there.